“The acquisition in question would boost Ineos AG's 2019 production from approximately 32 thousand barrels of oil equivalent per day (mboed) to over 95 mboed and increase Ineos AG's remaining UK reserves to 420 million barrels of oil equivalent (mmboe), making Ineos AG the 5th largest producer in the UK, just behind Chrysaor Holdings that acquired a group of Royal Dutch Shell's UK assets in 2017. “The sale of its UK assets would mean a total company production loss of 6% or over 75 mboed for ConocoPhillips. The deal will provide Ineos AG with oil producing assets to shift it's heavily gas weighted portfolio – currently 20% oil – to a 30% oil weightage. “ConocoPhillips's divestment does not come as a surprise as speculation of the sale of its UK assets has been present for a number of years. 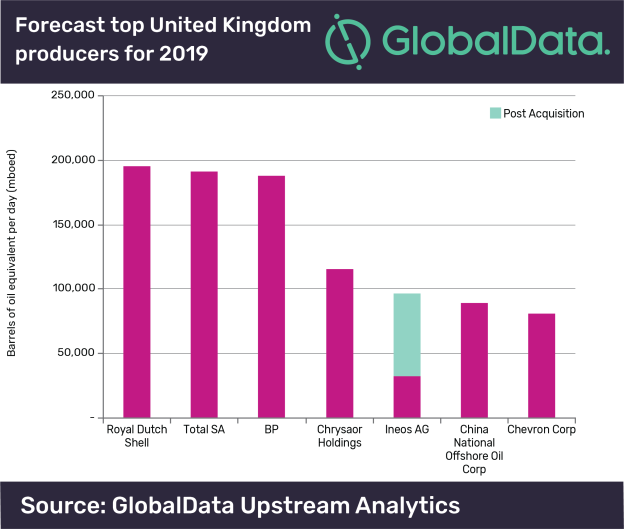 Along with Chevron Corporation and Marathon Oil are a number of US companies looking to divest from the UK upstream sector, likely in an attempt free up capital for competing operations globally. “An acquisition of ConocoPhillips's full UK upstream portfolio includes stakes in 30 currently producing fields, 26 of them being gas fields and four oil-producing fields. The majority of the deal value is from ConocoPhillips remaining share in the Clair field and two other producing fields, Britannia and Brodgar. “The deal may also include eight discovered fields that are awaiting development. ConocoPhillips's UK assets (post Clair field farm down to 7.5%) are estimated to increase the Net Present Value of Ineos's upstream portfolio by around US$2.4bn, giving a Net Present Value of roughly US$4bn of both combined assets.